Collect Jurassic: Coming to New York Toy Fair! 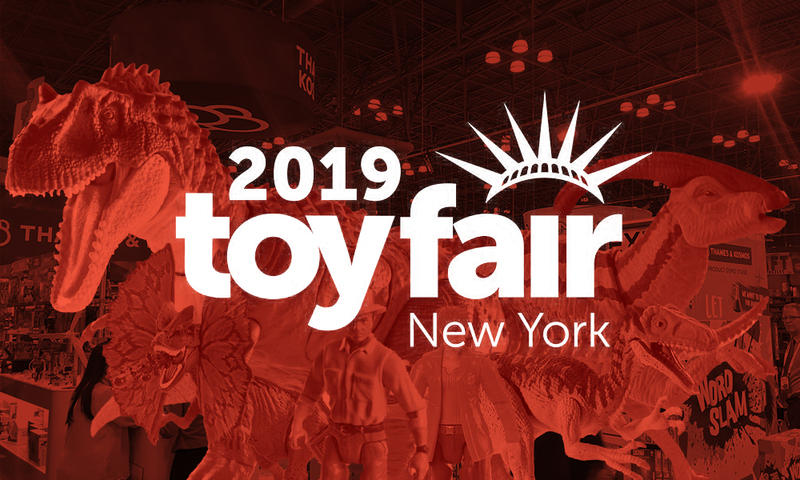 Hold onto your butts: we’re headed to New York City next weekend to attend the 2019 American International Toy Fair, also known as the New York Toy Fair! We’re thrilled to be providing in-depth coverage during this exciting industry event, with new Jurassic product reveals expected from Mattel, LEGO and more. Tune into Collect Jurassic next weekend during the show, where we’ll be posting daily updates on Instagram, Twitter, Facebook, YouTube and here on the website. Just don’t forget… it can camouflage! Can’t wait! It’s so nice to have a site that actually covers JP toys like all the other sites. Really hope we get to see the big Brachiosaurus that’s planned. Can’t wait to see that.